RG has developed A multi sided grip that is designed to fit perfectly in the life line of the Golfers’ hand. Never before has a grip been designed to actually quiet the stroke while ergonomically conforming to the hands. The Thorn 1.25 putter grip is a Standard sized multi-sided grip designed to fit the contours of your hand. The Thorn 1.25 actually fits your hand oriented along any axis making it an excellent choice for those who desire to putt with either the “Traditional” or the “Claw” method. The Thorn 1.25 allows you to use as lite a grip pressure as you desire and still provides a stable platform with which to control the putter throughout the entire putting stroke. This grip is truly a breakthrough in grip design. Additionally the Thorn 1.25 grip is wrapped with the most advanced materials available giving it unmatched feel and control. Notice the bead grip texture which enhances the tackiness of the Thorn 1.25 grip. Weighing in at a skinny 31 grams the Thorn 1.25 Putting Grip allows you to have maximum feel of the putter head. 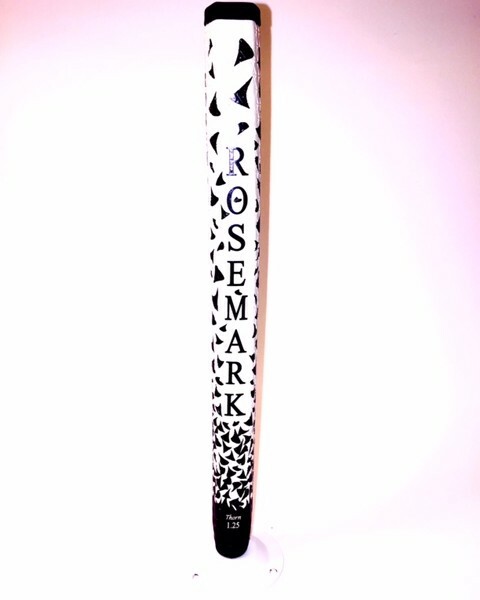 Great feel, fantastic control and lower scores are what the Thorn 1.25 grip by Rosemark Grips is all about. Try it today! Available in Black, Blue, or Red falling thorns.